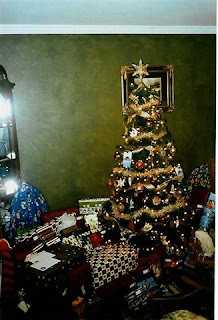 Wow, we are having a wonderful Christmas and Holiday season for 2008! I hope you are also. The best thing about the season is being able to see and spend some really nice time with your family and loved ones. I and my family have been fortunate to have been able to drive/visit/host several family members over the Thanksgiving/Christmas time. Next we are on to some New Year festivities in the Dallas area with my brother-in-law and their family, plus squeezing in some more visiting time in with our oldest daughter and her husband and our two older children in the Dallas area. Our teenage son has been squeezing in some quality time with saxophone practice here and there, plus enjoying so much quality time with his older siblings, who we get to see too little of during the year. Our littlest is getting into the swing of things with the gifts. He had no interest in actually opening the presents, just set them out for him to play with and explore. I don't think that there was one gift that he didn't actually love. He really got into playing with his new Learning Bus, firetruck and his learning pad. One of our traditions at our house is to decorate Christmas cookies, my teenage son has loved this activity over the years and we were really looking forward to starting the tradition with my littlest. He participated by standing on the stepstool and eating cookies, couldn't get him to sprinkle cookies or even decorate cookies, but he did stand there quietly eating away. My two younger sons are so....different in their interests. My littlest did have a meltdown during the experience, he got some frosting on his finger and got very upset until we could get it cleaned off. 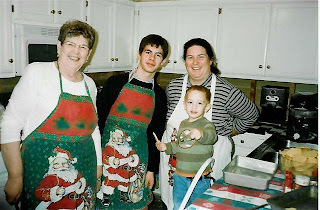 Here are a few photos, click on this link to be able to view some more Christmas 2008.